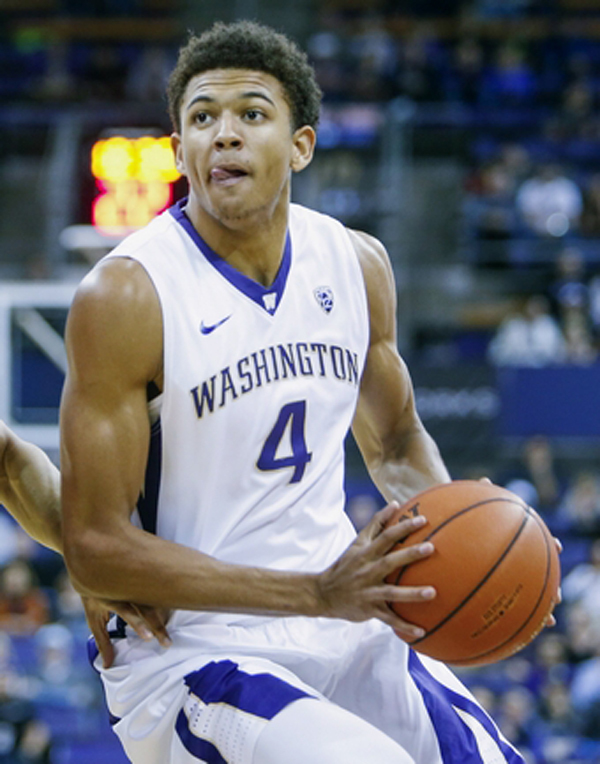 Two things are on my mind today: Super Bowl Llll and the Washington Husky men’s basketball team. Let’s take the Super Bowl first. A lot has already been written about the game; mainly a lot of people felt it was perhaps the most boring one of the 53. Well, that is not my perception. I suppose if you like scoring and last-minute heroics, you would have a point this one was boring. I suppose watching a 1-0 no-hitter is also boring if you don’t like defensive gems. And this game was a defensive gem. I happen to like contests where the defense dominates. Watching Alabama throttle Washington in the 2016 National Championship game while frustrating because the team I covered for our daily newspaper for nearly 30 years was being dominated by the Alabama defense, I also as a longtime football watcher was impressed with what Alabama was doing and thus found it worth my time to watch. It’s the same with the Super Bowl. New England’s defense dominated the Los Angeles Rams like no team had done during the season and through the playoffs to the Super Bowl. Yeah, I don’t like to see Tom Brady and Bill Belichick win because I, like most of us, don’t like to see one team win year after year. When the New York Yankees were so dominant back in my early youth, I grew to dislike them immensely. We don’t like those at the top for the simple reason they are at the top and we are not. But I was impressed with the defensive design of Belichick. He’s famous for focusing on one thing in an opponent, usually the player that is the driving force behind the opponent and designing ways to shut him down. Aaron Donald was that guy for Belichick. Donald was double teamed the entire game and while he had a few moments, was not much of a factor because of what the Patriots did to him. I will go further in this, though. It wasn’t just Donald that was slowed down. The Patriots stopped the Rams’ running game, although there has to be something going on with Todd Gurley because he just didn’t seem right. They also took away the Rams’ receivers with excellent defensive play by the secondary, and their defensive front put a lot of pressure on Ram’s quarterback Jared Goff, making him largely ineffective. It was also important that the Patriots offensive line again protected Brady. Which I find amazing how well that line works, considering the Seahawks have had problems with their offensive line for years. What I find interesting is that the Patriots find players that have been casted off by other teams and bring them in and they become valuable keys. It’s almost a miracle what Belichick achieves with these type of players. He has an uncanny way of plugging in guys other teams don’t want. The bottom line is that I have to agree with so many others that Belichick is one of the greatest NFL coaches of all-time. He loses or discards key players year after year and simply rebuilds another winner. Yes, Brady has a lot to do with that, but also remember that he has been able to become a historical figure for nearly two decades and has done it with different offensive lines that wind up protecting him like he is the President of the United States. So as much as I would like to see the Patriots lose, I have to give them the respect they so richly deserve. We are witnessing a dynasty and no matter how you feel about that, you have to admit it’s awesome. Then there are the Washington Huskies men’s basketball team that is defying all expectations and go into Thursday’s game in Tucson against Arizona still undefeated halfway through the 18-game Pac-12 schedule. I dislike the 2-3 zone, but I have to give coach Mike Hopkins credit, he’s brought that system from Syracuse where he was an assistant for 22 years under Jim Boeheim, who has just about trademarked the 2-3. I keep thinking this will be the game where the Huskies lose. Each time I have thought that, I was wrong. The Huskies keep on winning and are clearly the best in a conference that is pretty bad. They went to Colorado and won, and they won at Utah, Oregon and Oregon State and each time I thought it would end at each of those stops. But here they are, 18-4 overall, 9-0 in the conference and on a 11-game winning streak. I don’t really know how they are doing it, especially considering that they often get going so fast on the court that it looks like helter-skelter and passes are flying out of bounds and off knees, ankles and hands. When they don’t get totally out of control, these Huskies are pretty good. They can’t shoot a lick and have trouble rebounding, yet their defense led by six-foot-five senior Matisse Thybulle is often suffocating. Thybulle is the best defender I have seen in a long, long time. He is very disruptive, blocking shots from behind, swiping balls away on the dribble, jumping in passing lanes and stealing a pass, and now he’s suddenly added a driving, flying dunk that is crazy. The guy can’t shoot it, but he seems to be an NBA caliber guy who will make a team much better defensively, and the league needs a team that can play defense because not many of them do that very well. The one thing that I’m impressed with is that Hopkins has managed to get his guys to play together most of the time (the other times it’s all helter-skelter). When they are playing well together, making that extra pass and getting some help inside from 6-11 Sam Timmins, who has in the last few games begun to play much better, they are tough. Do I expect them to go undefeated through the 18 conference games? They are, however, the best we have out here in the west other than Gonzaga, which they lost to by just two points on a last second shot, and that was at Gonzaga. So maybe they can turn some heads once the post-season begins, if they get to the post-season. Despite their record and 11-game winning streak, they are not ranked among the top 25 in the country by the AP or the Coaches’ Poll, which is a big tell just how far the Pac-12 Conference has fallen and how little respect it is getting. That’s about it from here. It’s a sunny but cold day, and there might be more snow ahead this weekend, so bundle up when you wander outside.